Dr. Soo-Hoo has worked for over 20 years in San Francisco Community Mental Health System, prior to his moving on to university teaching. He has vast experience with a wide range of types of mental health problems and populations. He taught in the Doctor of Psychology Program at University of San Francisco for many years. He has published on multi-cultural issues in psychotherapy and consultation and the application of Brief Multicultural Integrative Therapy and consultation. 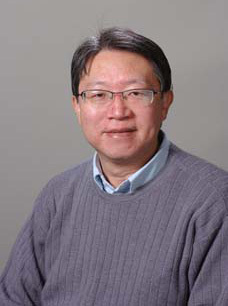 In addition, he has specific interests in innovative and non-traditional approaches to psychotherapy, particularly in relations to Asian American Families. He has also provided extensive training and consultation on these topics to agencies and other professionals. My research agenda is focused on "Multicultural Issues in Counseling", and "Developing and Researching Innovative Alternative Culturally Appropriate Approaches to Counseling". Soo-Hoo, Terry (2005). Working within the cultural context of Chinese American families. Journal of Family Psychotherapy. Volume 16(4). Soo-Hoo, Terry (2005). Transforming power struggles through shifts in perception in marital therapy. Journal of Family Psychotherapy. Volume 16(3). Soo-Hoo, Terry (1999). Brief strategic family therapy with Chinese Americans. American Journal of Family Therapy. (pp. 163-179). Vol. 27. Soo-Hoo, Terry (1998). Applying frame of reference and reframing techniques to improve school consultation in Multicultural settings. Journal of Educational and Pscyological Consultation. (pp. 325-345). Volume 9(4). Soo-Hoo, Terry (1997). Strategic Consultation: the evolution and application of an efficient approach. Consulting Psychology Journal. (pp. 194-206). Volume 49, No. 3. -Worked for over 20 years in San Francisco Community Mental Health System, prior to his moving on to university teaching. -Taught in the Doctor of Psychology Program at University of San Francisco for many years. -Published on multi-cultural issues in psychotherapy and consultation and the application of Brief Multicultural Integrative Therapy and consultation. -Provided extensive training and consultation on these topics to agencies and other professionals.